Should We Uninvent All This Technology? The following are my thoughts as prompted by today’s DPChallenge: Undo. If you could un-invent something, what would it be? Discuss why, potential repercussions, or a possible alternative. We have often heard the statement, “necessity is the mother of invention.” I look at all the inventions that have come about over the last century or so, and I agree that talented and resourceful people over the years has been fueled by a need, whether practical, noble, or frivolous to dream beyond their realities. These people may have been parents who saw the need to make a chore efficient, to cut their process time a little shorter, or to amuse or please a loved one. Doctors and scientists have endeavored to address the aches and pains of their patients or figure out repeatedly puzzling events. Entertainers and artists have had to offer novel amusements in order to keep themselves and their acts fresh, new, and interesting. I think of some great milestones such as the discovery and development of penicillin, water filtration, the telephone, the automobile, airplanes, or some household comforts like gas and electric stoves, refrigeration, air conditioning, or the microwave. I marvel at how these have made our lives better in so many ways. They were meant to allow us more time for the more important aspects of our lives. Or so we think. And then I am reminded of the movie, Wall-E, which came out in 2008, and I remember how people were relegated to ordering online, then having their food brought to them, and how they were mostly drinking their food. They were in perpetual chat rooms online or playing video games while sitting on their comfy new age Barcaloungers. And this is in spite of sitting side by side with other similar loungers in a stadium size rec-room inside a robot-serviced space ship. In the movie, everyone was obscenely obese and socially inept. I know. I know. It’s a cartoon. But I also think it’s a very sad commentary of where we may be headed. The world as we knew it is gone literally in the film. All that’s left are mountains of garbage that Wall-E and his fellow trash compactors have to gather, compact, palletize, and stack into neat piles. Every so often a tornado gust of filth, debris and lord knows what chemical waste it carries, would pass through and destroy much of where it passed. I think of inventions and I applaud its inventors. I look at the handheld devices, the attachments to the TV screen so our children can play their video games ad nauseum ignoring us and sacrificing the learning of socialization and interaction with other human beings. I think of the modern conveniences that enable us to reach into our freezers, heat food in the microwave and then proceed to eat the meal. We may not even bother to look at our food because we’re too preoccupied with what’s going on in the screen before us. We did not have to hunt or gather our food, let alone clean, prep and cook it. And most reheated food tend not to require a lot of chewing either because they have been processed many times over. I am tempted to say, uninvent these please. I believe that inventions for the most part came about for the betterment of our lives. However, like anything, we abuse and misuse much of it. Antibiotics are to treat an infection. We should not be feeding it to our cattle and fowl to prevent them from getting sick because we are feeding them food that they would not be choosing to eat had they been allowed to roam free. (Think corn subsidy!) The Internet is supposed to facilitate connecting with other people, globally. It’s not supposed to isolate us even more. Ultimately, we bear the burden of deciding whether to use our inventions for our betterment. Or we can misuse or abuse them to cater to our more frivolous, self-indulgent, irresponsible, less than honorable, and even dastardly purposes and excesses. The misuse or abuse of something does not negate nor decrease its value or use. This entry was posted in Discoveries, Internet, Inventions, Obesity, Robots, Scientific Discoveries, Video Games, Wall-E and tagged Discoveries, DPCHallenge, Environment, Invention, Inventions, postaweek 2013, Science, Scientific Discoveries, Technology, Wall-E. Bookmark the permalink. 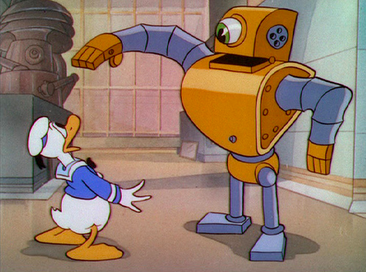 12 Responses to Should We Uninvent All This Technology? i, too, was going to say moderation. if we turned back the hands of time, we’d have never “met” so i’m glad that technology has allowed me to get to know you. Yes we often thought the new inventions, modern technology, modern ways can make our life easier only to find out that some modern technology would be catastrophic and would cause pain and malady to humans. Just like what modern industrial cattle farming done in Europe. Mad cow disease or BSE Bovine Spongiform Encepalopathy was born when modern cattle farmers cut corners. “Cattle are naturally herbivores, eating grass. However in modern industrial cattle-farming, various commercial feeds are used, which may contain ingredients including antibiotics, hormones, pesticides, fertilizers, and protein supplements. The use of meat and bone meal, produced from the ground and cooked leftovers of the slaughtering process, as well as from the carcasses of sick and injured animals such as cattle or sheep, as a protein supplement in cattle feed was widespread in Europe prior to about 1987. Worldwide, soybean meal is the primary plant-based protein supplement fed to cattle. However, soybeans do not grow well in Europe, so cattle raisers throughout Europe turned to the cheaper animal byproduct feeds as an alternative” Wikipedia about BSE. Unknowingly they fed their cattle meal that caused disastrous infection throughout the herd and hurt their cattle industry when many country banned importing beef from many parts of Europe. The prion causing BSE is not destroyed by heat treatment. Many thought that Alzheimer’s disease are rampant relating it could have been a form of CJD or mad cow disease in man since the physical symptoms of mad cow disease are similar to that of Alzheimer’s. Thank you for sharing. Yes, isn’t this disgusting? We have made cows into cannibals! Btw, this is still being practiced here in the US. Awesome philosophy! I wish more of our kids will embrace it. 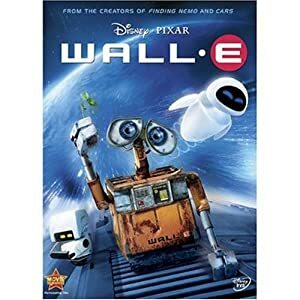 Love Wall-E. It’s one of my favorite movies, not just one of my favorite animated movies. I think it is a sad commentary on where we might be headed. Have you seen the movie “Idiocracy?” It’s another example of where we could be headed. Both of these movies should really make people think about the decisions they are making on an individual basis – to stop these worlds from coming to fruition the choices have to start on a person by person level. I looked up Idiocracy and it sounds very interesting. I read that it has a Cult following. But back in 2006, it was only shown in 6 cities and only made an embarrassing $400,000. I have found it n Netflix and I intend to watch it when it’s available on my cue. Thanks for the tip. They should make more movies like these. If Congress can’t get their act together, maybe Hollywood can spread the word better to pull people out of their apathetic stupor. Quite insightful and ohhh there have been many a time where I wish that I have wanted to uninvent a device that keeps us from interacting face-to-face. But then I think of the advantages and I’m glad it was invented. So why not revisit the one thing that will balance it all out? Let’s explore moderation! You are so right! So Confucian, don’t you think?